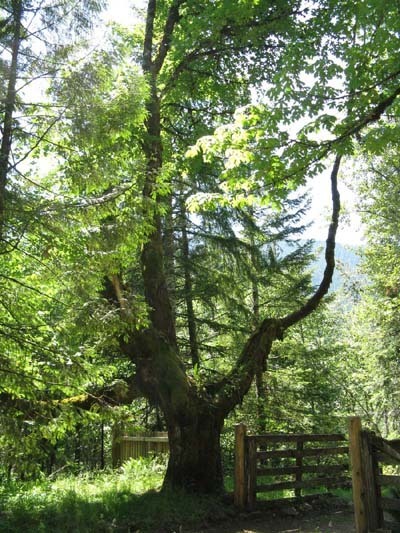 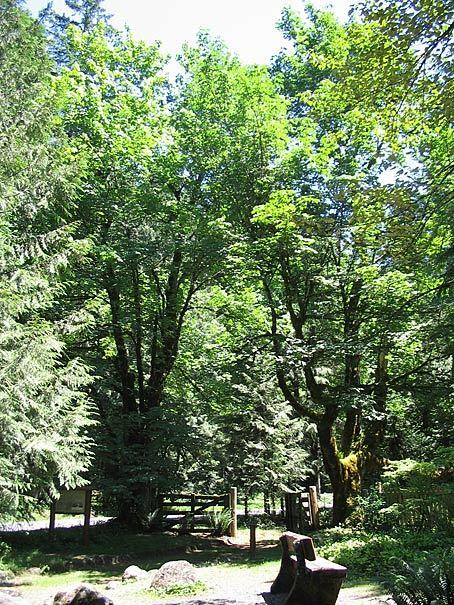 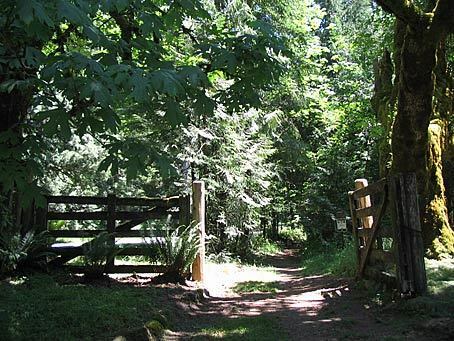 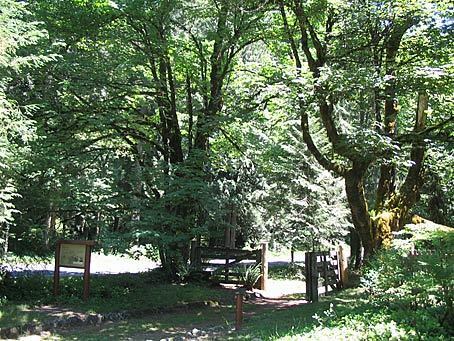 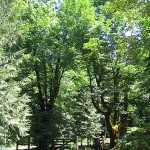 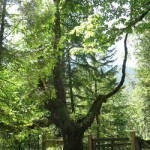 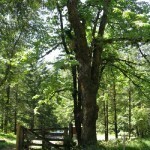 Two bigleaf maple trees stand on each side of a replica tollgate that marks the western-most and last tollgate to operate on the Barlow Road — the branch of the Oregon Trail that crossed the southern flank of Mt Hood. 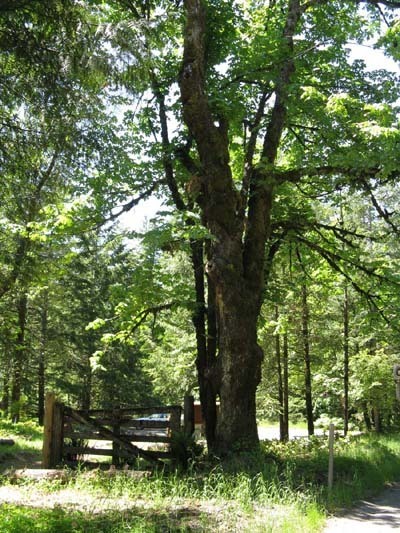 The original tollgate was in operation on this site from 1879 until 1915, and the tollgate maples are believed to have been planted in the 1880’s by Daniel Parker who was the tollgate keeper at that time. 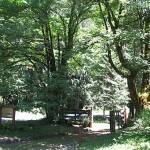 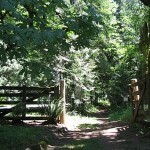 The tollgate historic site is located in the highway wayside for the Pioneer Bridle Trailhead on US Highway 26 one-half mile east of Rhododendron.